Having a serious injury often means having to miss work, having to change your daily routine, and having to deal with medical bills that never seem to stop coming in the mail. If you’re stuck with a personal injury case and don’t know how to find a fair way out, you need the services of a professional. 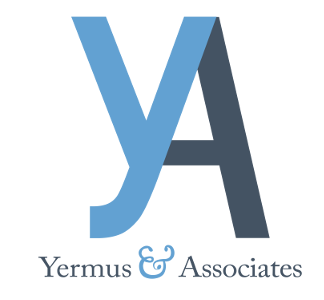 At Yermus & Associates, our team of personal injury lawyers can assess your situation and ensure that your rights are protected. Having a lawyer by your side should help answer your questions about the legal process, saving you from the stress of dealing with your legal claim and insurance company, and allowing you to concentrate on more important matters—like getting better. Here are some tips on how to choose a personal injury lawyer. Experience and training are what set apart good lawyers from the rest. The only way lawyers can build their experience is to handle more cases, but don’t just look at the number of years a lawyer has been in the business—ask about their record of helping clients. It also pays to know a lawyer’s credentials. Don’t be afraid to be discriminating in your needs—it’s how the business works. Different lawyers have different experiences and backgrounds, so if your case has to do with a personal injury, you can’t expect a tax lawyer to be as effective as a personal injury lawyer. Personal injuries are a completely different animal than tax or real estate law, requiring the attention of a specific lawyer specializing in this unique aspect of the law. Communication is extremely important, particularly for those with severe impairments due to their injury. As with any lawyer-client relationship, hiring a personal lawyer means having to work on a personal level over several appointments. You can’t expect to build a solid case with your lawyer without an open line of communication. Ensure your lawyer is responsive to your needs. You have shared very interesting points in order to find a personal injury lawyer.it is very important to talk with every lawyer before deciding whom be best one to represent you and your case. Great points. I would especially emphasize credentials, both ethical and professional. Not bad, you should also point to a certain niche if an attorney is experienced with it. We cover this on our blog too, you can check it out here. Great post! Imagine yourself in a court of law trying to explain your situation to people who look super elegant. It can be tough. You will need a representative who is on their level to make your point go through. Even if deep inside you it’s clear that you are innocent, proving it in a courtroom is ever difficult. But not with personal injury lawyers . Minimize the sufferings of personal injuries with the help of New Jersey personal injury lawyers who represent your case in the court after the deep analysis and research. They make sure to provide personal injury benefits and win the case by providing solid evidences in the court. Hire us today and say ‘NO’ to the consequences happened due to negligence of others. Choose a lawyer who specializes in personal injury cases. There are many different lawyers available to handle all kinds of cases, so make sure your lawyer handles personal injury accidents.